Creamy chocolate fudge with a dreamy layer of coconut. 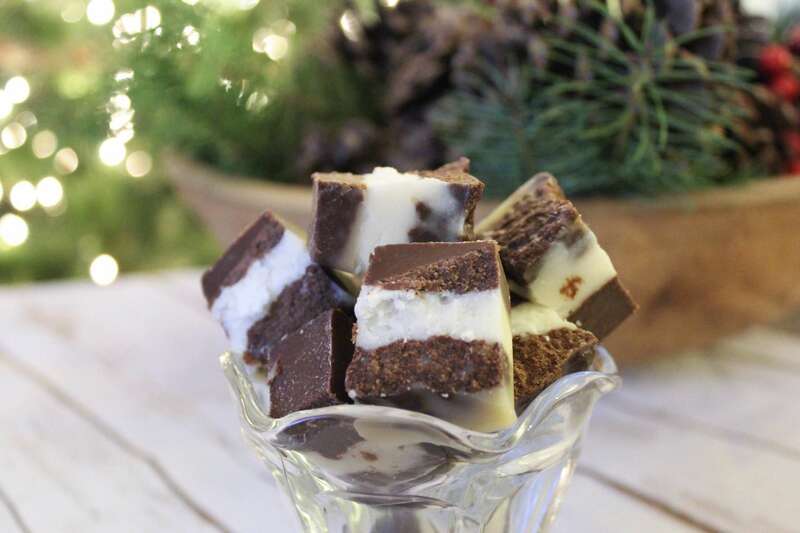 This fudge is reminiscent of what used to be one of my favorite candy bars – the Mounds bar. Be sure to read to the end of the post to enter a giveaway for Lily’s chocolate! It may be cold outside, but that doesn’t mean you can’t send your tastebuds on a trip to the tropics! 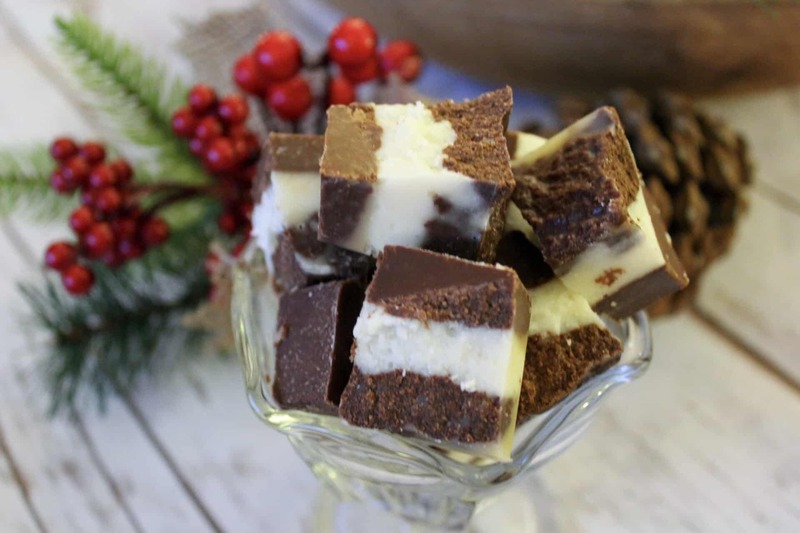 The idea for this fudge came this past summer when I was visiting family in Tennessee (where I grew up). We stopped to shop at one of our favorite little stores in Townsend, and bought a few pieces of fudge (yes, the sugar-filled variety). It was so good – and I knew immediately that I wanted to re-create a healthier version of this delightful treat! The chocolate layer is simply one batch of my 2 Ingredient Fudge. The coconut layer is a combination of coconut butter, coconut oil, heavy cream, and a touch of unsweetened coconut, (along with a bit of Gentle Sweet). This is definitely my favorite fudge yet! And that’s saying a lot, because I really like peanut butter fudge! The first thing you need to do is make my 3 Ingredient Sweetened Condensed Milk (it is low carb and sugar free). This is assuming you don’t already have a stash of this liquid gold hidden in your fridge. I try to keep some handy so I can whip up fudge whenever the mood strikes me! 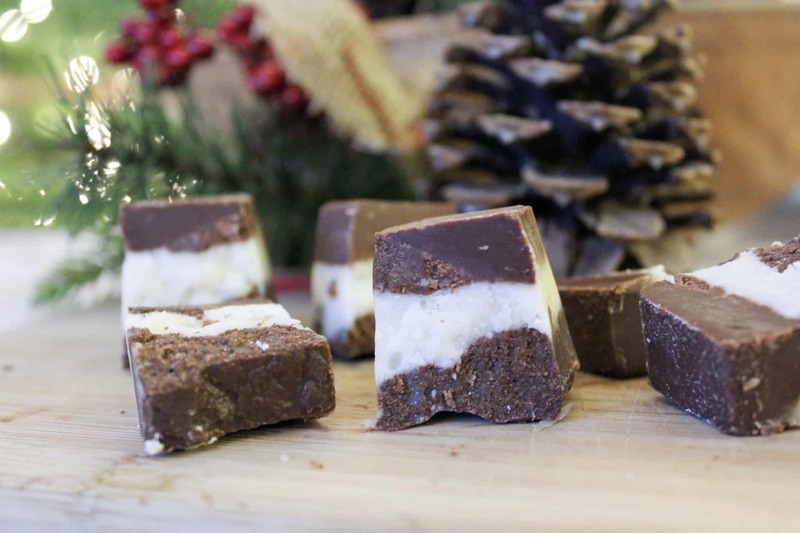 Don’t let the steps intimidate you – this fudge is WORTH IT! By now many of you know that I use a lot of Lily’s chocolate. Yes, it can be a little pricey, but I love the fact that I can eat a chocolate candy bar or use chocolate chips in my baking without having a blood sugar spike! Besides, Lily’s has a very touching story about how they got their start. You can read their story here. They also donate to charities that support childhood cancer survivors and children currently fighting cancer. Lily’s is a company I feel comfortable supporting, and I love their products! If you find they are too expensive to order from Amazon, and you cannot find them locally, consider ordering from Vitacost. They have a reasonable price on the Chocolate Chips (and they are currently on sale). If you use my referral link for your first purchase, you will get $10 off your $30 purchase, and I will get a discount as well! Click here to use my affiliate link. 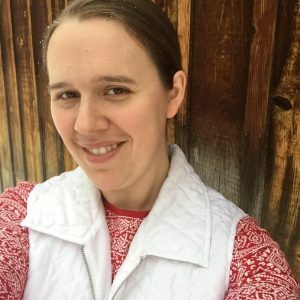 Since I love Lily’s so much, I wanted to bless some of my readers with a Lily’s Chocolate Giveaway! To enter the giveaway, simply click on the Rafflecopter widget under the recipe and follow the instructions to enter. The winner will receive 2 bags of Lily’s Chocolate Chips and two Lily’s Chocolate Bars of their choice (salted milk and almond, dark chocolate, coconut, or plain dark or milk chocolate). In 9 cavity silicone pan, put 1-2 Tablespoons fudge mixture in each cavity, then place in freezer to harden. Meanwhile, warm 1/2 cup coconut butter until it is soft. Add melted coconut oil, Gentle Sweet, coconut, and heavy cream and mix well (I used my hand mixer). After fudge has firmed up ( 20 minutes or so), add enough coconut mixture to cover the fudge completely in each cavity. Place back in the freezer for 10-15 minutes. Remove from silicone pan and slice into pieces. I like to keep my fudge in the refrigerator so it is soft. As the chocolate fudge sits, some of the butter/oil may separate. That is ok, just give it a good stir before you use it. After you fill the silicone cavities, you may find that some of the butter/oil pools on the top. Again, that is ok - it will harden and you can cut it off around the edges if you want. This post contains affiliate links, which provide me with a small commission if you choose to purchase an item through my link. All proceeds go to the support of my family and this blog! Thank you! Legal stuff: Legal stuff: Giveaway ends December 17th, 2016 at 11:59 PM MST. Open to Residents of the US only. Winner will be selected randomly through rafflecopter. The winner will be emailed and notified on my Facebook page, My Montana Kitchen. Winners have 48 hours to respond before a new winner is selected. My opinions are my own and were not influenced by any form of compensation. Facebook, Twitter and Instagram are in no way associated with this giveaway. By providing your information, you are providing your information to me and me alone. I do not share or sell information and will use any information only for the purpose of contacting the winner. Love a chance to win. These look delicious. We will have to give these a try. Merry Christmas. I would love to win these! Chocolate is a survival tool for life. ? The mounds sound amazing! As you have probably worked out I am a HUGE fan of this brand!!! I absolutely love this recipe. Amazing. Gotta make it! I’m so excited to try this recipe. I love coconut! These look as yummy as the candy bar 🙂 I love Lilly’s chocolate! Lily’s chocolate and coconut, perfect together! Is there a substitute for coconut butter? I’m sorry, but no, not in this particular recipe. This fudge sounds absolutely delicious and I love that it’s sugar-free! I will definitely be trying this one out soon.